A funeral service celebrating the life of Maurine Patterson, 93, was at 3 p.m. Sunday, Sept. 2 at Christian Harmony Baptist Church with the Rev. James Philen of Cenchrea Church of the Nazarene of Florien officiating and assisted by the Rev. David Matlock of Christian Harmony Baptist Church. Interment followed in Garden of Memories in Winnfield. The family received friends from 1 p.m. until service time at the church. Mrs. Patterson was born March 15, 1925 in Calvin to Thomas Lee and Estella Lambert Bonnette and passed away Aug. 30, 2018 in Winnfield. Mrs. Patterson was preceded in death by parents; husband, William S. Patterson; one daughter, three sons, four brothers and two sisters. Left to cherish her memory are her daughter, Effie Dean Philen and husband, Gerald; son, David Patterson and wife, Paula. 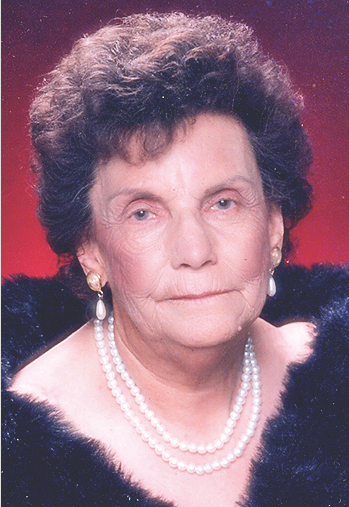 She was very blessed to have five generations of grandchildren who loved her very much. Honoring her as pallbearers were Kyle Lester, Kaleb Lester, Charlie Ashby, Bo Hardy, Josh Dean and Jeff Patterson. Serving as honorary pallbearers were Louis Cheatwood, Jerry Philen, Mike Carter and Presley Philen.